Hooray! We have a winning monster! We now have a winner for our latest competition. The top prize goes to Tanzina with her monster, ‘Garbage’. Congratulations! 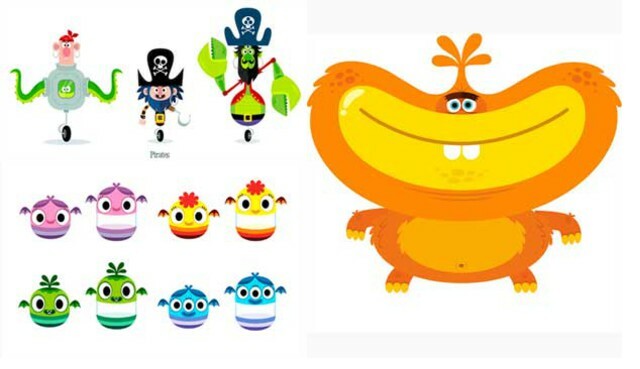 Garbage will be designed by our illustrator Rich Wake for the new Teach Your Monster to Read game “Fun With Words” and she will also receive £150 worth of Usborne books for her school. The monster will be available as body parts for children to put together, as part of their own monster in the game. We cannot wait to see the monster animated and ready to begin his journey! Our judges, illustrator Rich Wake and teacher and Digital Leader Sheli Blackburn chose the winner. 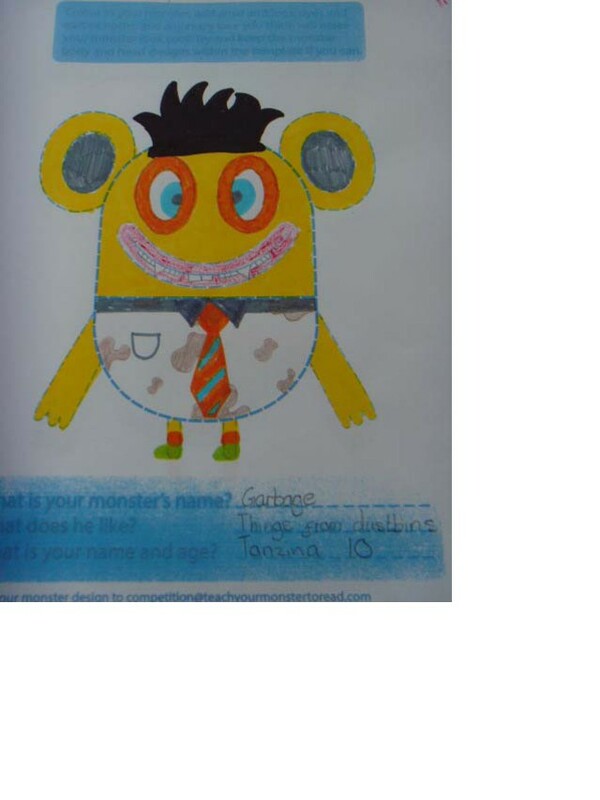 The two equally fabulous runners up are Binta with her monster ‘Smiley’ and Devlon with his monster ‘Oro’. They are both beautiful and characterful designs, it was hard to miss them! We have been overwhelmed by the awesome response to the competition and to the game over the past few weeks. It’s been really fun to see all the imaginative monsters that have come through! Thank you for spending your time creating the them and sharing them with us. Here is an online gallery of all the fabulous entries! Enjoy! This Autumn, join the monster on his new adventure with Teach Your Monster to Read: Fun With Words. Meeting new characters along the way, such as the Hungry Word Beast, the Space Pirates and the mischievous “Trickies”, the monster is on a journey to find his lost spaceship. Throughout his adventure, the monster will collect gold stars which can be exchanged for fantastic prizes. The game is designed for children who have already mastered our first game: Teach Your Monster to Read: First Steps. It complements Letters and Sounds up to the end of Phase 4. Reading and comprehension of sentences and captions. For updates about the launch of Teach Your Monster to Read: Fun With Words, join our Facebook group or follow us on Twitter. Alternatively email our Community Manager [email protected] with ‘Game 2′ as the subject. 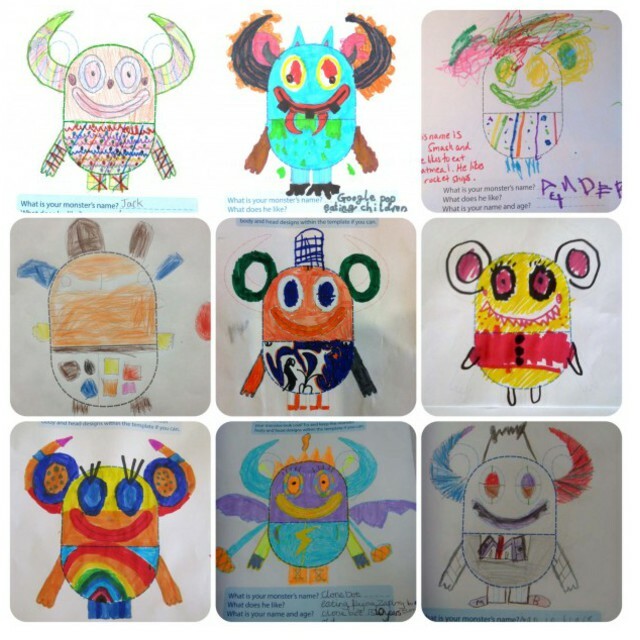 We’ve had a fantastic response to our Design a Monster Competition – over 400 entries! We’re really excited about announcing the winner, but first we have to choose one. 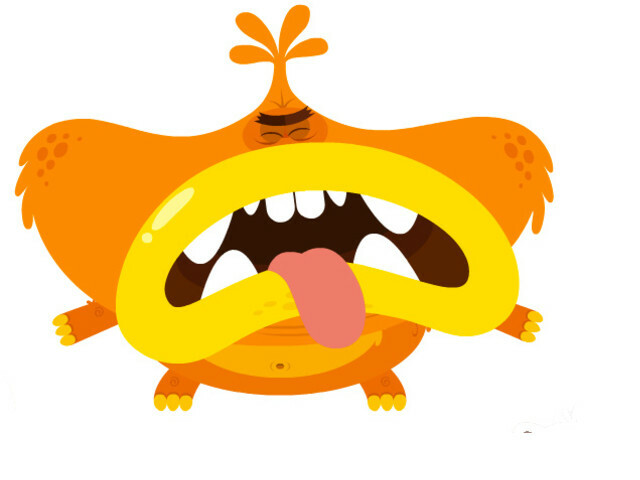 The unenviable task of deciding which monster will go into the next game is up to teacher and digital Leader, Sheli Blackburn (@shelibb – www.digitalleadernetwork.co.uk) and illustrator Rich Wake (www.richwake.com). It’s going to be a tough job. Above is a very small selection of the amazing monsters we’ve received. Will it be ‘Google Pop’, ‘Jack’, ‘Bella’ or ‘Smelly’? 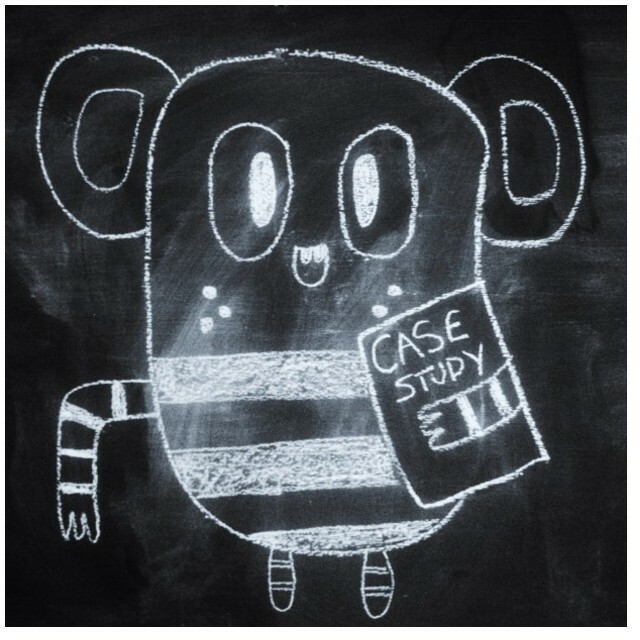 Will the monster that likes sweets and zapping be the next star of Teach Your Monster to Read? In two days we’ll find out. Thank you so much to all the children who have created their monsters (and the teachers and parents who have sent them in). All the entries are in the Monster Gallery on Facebook. Do take a look through the Monsters and share them with your friends! See your own monster in the new game! 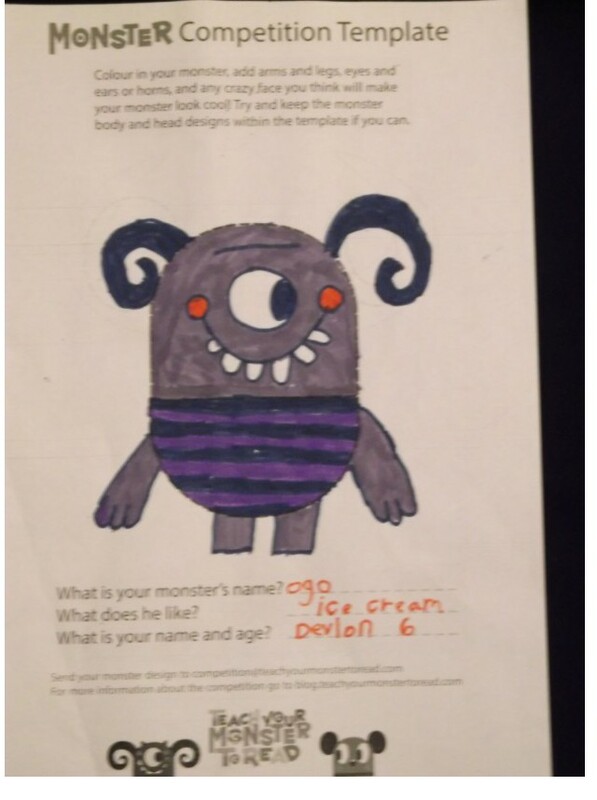 Teach Your Monster to Read has launched a new “Design a Monster” competition with the fabulous prize of seeing your monster in the next Teach Your Monster to Read game. 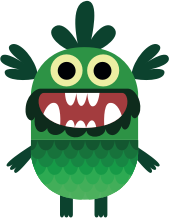 The lucky winner will have his/her monster drawn and added to new game, Teach Your Monster to Read: Fun With Words due to be launched for the new school term in September. The winner will also receive £150 worth of Usborne books for their school. Three runners up will also each receive £75 worth of Usborne books for their school. Print off the monster body template here: MONSTER TEMPLATE then add some monsterly features, such as arms and legs, eyes, a mouth, teeth, ears, belts, bows, hair – any parts your monster might want or need! Send in a photograph of your monster with the first name and age of the designer to [email protected] or enter via our Facebook page. Entries will be judged by the illustrator Rich Wake and teacher and Digital Network Leader Sheli Blackburn. Good Luck! We can’t wait to see your monsters! 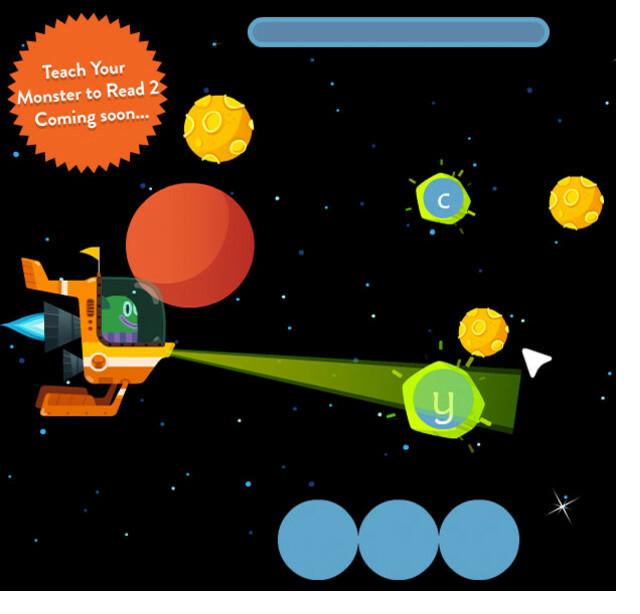 Coming soon to an iPad near you… Teach Your Monster to Read: First Steps goes mobile! With all the same functionality and features that your little monsters loved about the online game, this iPad version will be just as fun and educational, helping young children to practise the initial steps of reading. To register your interest in hearing about the Teach Your Monster to Read: First Steps please email us. This Summer, join the monster on his new adventure with Teach Your Monster to Read: Fun With Words. Designed for children who have already mastered our first game, in Fun With Words, the monster will continue his journey through a spectacular new kingdom of hidden treasure, balloon flights and spaceship rides! Meeting new characters along the way, such as the Hungry Word Beast, the Space Pirates and the naughty “Trickies”, the monster has been set the task of finding his way home once again. Throughout his adventure, the monster will collect gold coins which can be exchanged for fantastic prizes. 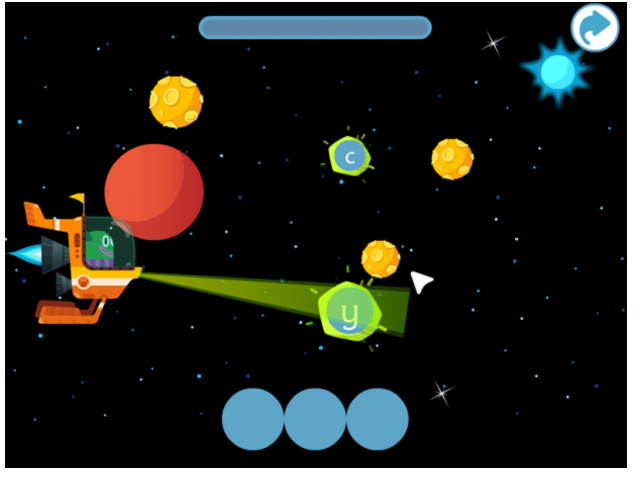 The game will introduce further graphemes and phonemes. There’ll be lots of tricky word practice, plus more blending and segmenting. The students will also be given the chance to practise blending when reading basic captions and sentences. This new game complements Letters and Sounds up to the end of Phase 4. For updates about the launch of Teach Your Monster to Read: Fun With Words, join our Facebook group or follow us on Twitter. Alternatively email our Community Manager [email protected] with ‘Game 2’ as the subject. I stumbled across TYMTR while browsing Usborne’s website for educational kids’ books back in mid-February – and Lee, my three-and-a-half-year-old daughter, was captivated from the start. First, some background on our situation: I’m German and my husband’s British; Lee spent the first three years of her life in the UK (where she went to a British childminder and nursery) but is now attending a German preschool. Though I’m hoping for Lee to be fully bilingual I also want her English to progress at native-speaker level – especially since she’s (re-)entering the British educational system this fall. TYMTR has become a firm part of our evening routine, and Lee has become quite attached to her monster and its adventures. If it were up to Lee, she’d play the game hours on end – but to ensure the information sticks to her long-term memory and limit her screentime I keep it at one letter a day. If I think she needs additional practice with a letter I quit the game before her monster gets her prize, so she has to review it again the next day. She is not a fan of this technique and protests heavily, but it does help. As far as I can see, Lee learns the most from the princess minigame. Flowers and factory are too fast-paced for her – though playing the game has definitely improved her cursor skills – while sheep and aliens don’t really challenge her any more. Initially, Lee needed my help in understanding what exactly she had to do; now, she goes through the game independently (though I still supervise). For us, TYMTR is part of a bigger home learning project to instil a general love for learning within Lee, in the languages, maths and sciences alike. After our daily TYMTR session, Lee will normally finish her screentime with a few educational music videos – she especially likes They Might Be Giants kids’ songs. From Here come the ABCs she currently likes best ‘The alphabet lost and found’ and ‘D and W’. When we’re out and about, we also make a point of talking to her about the letters and numbers that surround us – mostly on billboard posters, sometimes on license plates (less fun since you can’t sound out the letters into words). Most recently, I’ve started making flashcards that have a word on one side and its picture on the other, with which we play to make simple sentences – like ‘the dog is small’. We practice basic writing with crayons and an electronic learning pad, the LeapFrog Scribble & Write. It’s hard to say how much influence each single method is having on Lee’s introduction to reading – but together, they’re all reinforcing each other in a positive way. By turning early reading into a game rather than a challenging task, TYMTR has been an important tool for getting Lee more interested in how letters fit together to form words from a phonetic standpoint. And she loves it: though she’s already completed the game once, she and her monster are now on their second round through the islands. Teach Your Monster to Read at home. Written by John Jones, Father, Head of ICT at The International School of Monaco and an ADE (Apple Distinguished Educator). My monster is now four and a half. Ever since I can remember she has been fascinated and absorbed by books. From her earliest days, a book was something that calmed and engaged her. Indeed, she even had favorites such as the Bernstein Bear classic Old hat, New Hat, and Little Fish by Guido Van Genechten, long before she even recognised a single letter. Therefore, since those early days of exposure to letters and words, I have been excitedly counting down the time until she and I would be able to pick up a book together and begin the invaluable journey of learning to read. That time finally arrived earlier this year. However, I quickly became aware that things were a little more complex than perhaps I had expected. Teaching children to read takes effort, patience and endurance; three qualities I have sprinklings of but never a surplus. Indeed, expertise would also be helpful, and that is where, I’m afraid, I am very thin on the ground. Yes, I am a based in Primary Education, but my specialism is ICT. As far as teaching English is concerned, the youngest year group I have taught is Year Four and by then they have moved significantly past the initial sounds and phonics stage. Therefore the only card I had left to play to help my daughter start reading was by calling upon my Twitter PLN. Sure enough, it was by sourcing those tweachers that I came across the amazing ‘Teach Your Monster to Read’. As soon as I established an account, my daughter was hooked. The premise is that your monster has crash-landed on a strange planet, but my helping the fantastical Island Kings to recover their letters, they in turn help you to fix your spaceship. As you travel from island to island, you practice learning more difficult sounds and do so my playing some simple but addictive games. Along the way you are able to choose from a variety of presents with which you can dress or feed your monster. It is often the subtle touches that make a difference and in this case those rewards really added incentive for my daughter. The graphics are beautiful in their simplicity and wonderfully complimented by the voice of horrible histories’ Simon Farnaby. The games are addictive and also served the dual purpose of helping my daughter get used to using a computer mouse. The only shortcoming of ‘Teach Your Monster To Read’ is that my daughter loved it so much, her monsters spaceship was rebuilt and ready to leave within a week! I really hope there will be another instalment of this superb reading tool available soon. After completing Teach Your Monster to Read, I instantly advised our Early Year department at the International School of Monaco to set up accounts for our younger pupils. So far the feedback has been 100% positive and the site will become integrated within the curriculum next year. As far as my own monster in concerned, she has not looked back. 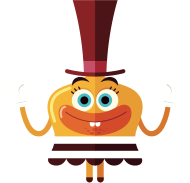 Teach Your Monster Read gave her the foundations to tackle more complex phonic sounds; she is gaining confidence everyday and her reading is noticeably improving. Interestingly, she still refers back to the game when she notices the phonic sounds referenced in Teach Your Monster to Read. I would wholeheartedly recommend the game to any parent or school that wants to help their children get started on that invaluable and life changing journey to literacy, whilst having a whole lot of fun on the way.